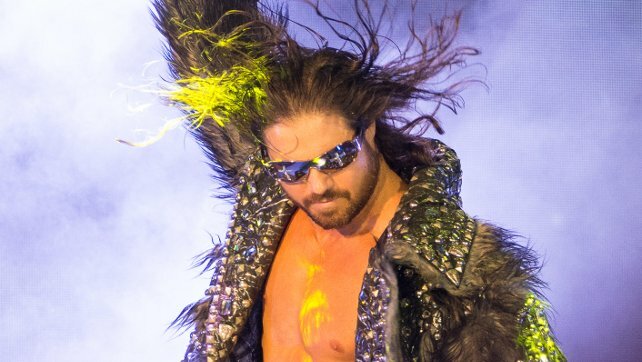 I recently spoke with Johnny Impact during a press tour for IMPACT Wrestling’s Homecoming pay-per-view on January 6th. Absolutely. I feel like if Cage asked me for a title shot, I would have given him one. Since I’ve won the IMPACT World Championship, I’ve gone out of my way to say that I’m planning on defending it against anyone that is deserving of a title shot. Cage has only been beaten one time since he’s come to IMPACT, and it took three guys to do it. Option C, to me, is more of a statement. That’s how bad he wants the IMPACT World Championship. He gave up the X Division title for a shot at the World Championship, and I’m taking that very seriously, and I know he’s taking it very seriously also. Whoa, whoa, whoa. If it’s a bench press contest, sure, Cage is going to beat me. But speed and agility? No, I think I might have his number on those two. Let me add this to the equation—bench press, sure, bet on Cage—but if it’s a brain press competition, I’d bet on me. I don’t want to dumb-shame Brian, but he’s not the smartest guy in the locker room. Strongest? Yes, he’s a machine, he trains that way, he eats 7.2 times a day, he’s got his macros figured out and he trains twice everyday. The difference in the match at Homecoming for me is my ability to call audibles to create offense and answer whatever Brian is throwing at me in real time quicker than he’s going to answer whatever I’m throwing at him.